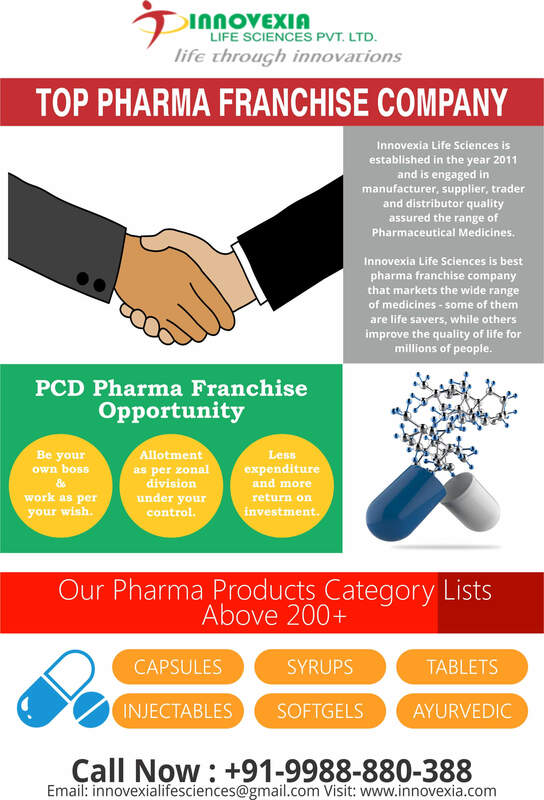 Pharma Franchise For Ophthalmic Medicines – Innovexia Life Sciences is a prominent PCD Pharma Franchise Company for Ophthalmic drugs and medicines in India. We offer a great variety of ophthalmic medicines and drugs through PCD and pharma franchise for ophthalmic medicines across pan India at very genuine investment planning. Every drug or medicines being offered are made under strict WHO and GMP quality standard guidelines to provide you pure and effective formulations. Ophthalmic medicines have good demand in India with an over 153 million population suffering from some of the other types of eyesight problems. This estimation takes up 30% of world population. One can imagine the strength of Indian ophthalmic market. Pharma franchise for ophthalmic medicines/products/ Drugs & Range is the best way to enter the market segment at affordable rates. Innovexia Life Sciences provides genuine and trustable medicines and drugs of ophthalmology. These include a wide variety of eye drops, eye skin ointments, creams etc. Grab the chance to connect with best PCD and Franchise business in all the states of India at a price which is genuine. Want to know more about the franchise deals in your city? Innovexia Life Sciences is a fee to hear and answer all your queries. Just call at +91-9988-880-388 or 0172-4660388 or simply write down all your queries and send us at innovexialifesciences@gmail.com for more. What is The Scope of Ophthalmic Medicines and Drugs Franchise in India? India has the largest population dealing with some kinds of eye defects and disorders which account for 30% of the world population. The falling mortality rate has given rise to some of the surgeries like cataract surgeries, Refractive Error etc which is rapidly getting popular across various states of India. With advancement in technology, the rise in awareness for ophthalmology has spread. Our country has 15 million blind people and 153 suffering from eye disorder which is rising annually. The market of ophthalmic serves all the diagnoses, treatment and prevention for various issues related to eye and vision. The market segment of ophthalmic drugs and medicines is an estimated US $1.4 billion which is said to peak at the US $1.9 billion by 2021 growing at a rate of CAGR 6.5% every year. The surgical segment of medicines related to cataract is said to grow more than the US $533.7 million by 2021 which serves 62.6% of the population of India. Taking into consideration the future of ophthalmic medicines, the future is bright and profitable which makes an investment in pharma franchise for ophthalmic medicines a genuine one. Why Consider Innovexia Life Sciences for Best Franchise Deals in India for Ophthalmic Medicines? Our company is linked with more than 80, 000 professionals across pan India who will help you in your business growth. Outsourcing and consolation agreements with some of the reputed medical institutions, hospitals, day care centers etc. Huge warehousing systems which provide good ventilation services and freezer facilities for the safety of medicines. The regular release of new molecules for the frequent growth of our clients business. All the GMP and WHO sourced quality assurance and quality control standards are followed by us. Excise duty-free zones manufacturing is provided. We have many ophthalmic doctors, physicians, and surgeons working in connection with which is helpful for you. Our company assures your quick delivery which is within 1 to 2 days of stipulated time.